A four-year old Forest Grove girl has been 'adopted' by South Meadows Middle School through Sparrow Clubs. A local child with substantial medical needs has been "adopted" by a Hillsboro school through the Sparrow Clubs program this year, and students will soon begin volunteering in the community to help the child in need. 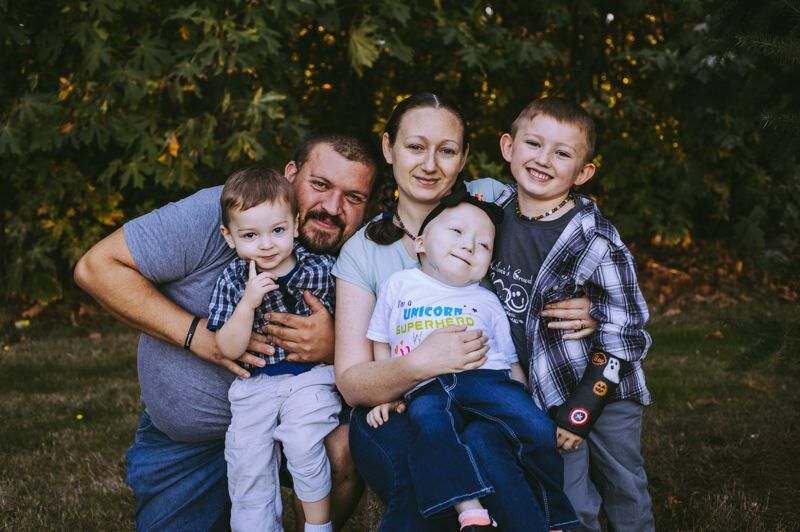 Four-year-old Forest Grove resident Kailanie Dykes, who has lateral meningoceles and leukemia, has been adopted by South Meadows Middle School — which will be sponsored in its fundraising efforts by Les Schwab Tires, Steele Group Inc. and Highway Heavy Hauling. Kailanie was recognized during an assembly at South Meadows on Friday, Jan. 11, which also marked the volunteering kickoff. The Sparrow Clubs work to empower kids to help others, inspiring them to make a difference in the lives of others through acts of community service. For the remainder of the school year, students will volunteer to complete community service in a number of different ways, and the sponsoring companies will donate $10 per hour, up to 256 hours, to the Sparrow child to help alleviate the family's medical and overall necessity costs. Some students will also fundraise in the community to donate to the cause, but volunteering is encouraged, Portland Sparrow Clubs program director Laura Queen said. It goes beyond helping the child and their family financially, though, Queen said — it provides them with emotional support as well. "Once the kids meet their Sparrow, all of a sudden they become a part of that community, and the support and the love (they give) ... it's like the Sparrow becomes a celebrity," Queen said. "It's the emotional side, and just feeling that support of 'all these people care.'" It goes the other way too, Queen added, teaching other students about empathy and doing things for others. "It looks like what we do is really help the family, but the gift that the family gives to the kids is really the greater gift, because the kids think that it's all about what they are doing for the Sparrow, but in reality it's kind of flipped," she said. "It's what the Sparrow is doing for them to open their eyes ... to what it means to do things for other people and care about other people." It is special to receive support from the community, said Kailanie's father, Jon Dykes. The family was thrilled to find out Kailanie was adopted by a school. "It was exciting," he said. "We were overjoyed." Kailanie has endured 19 surgeries in just four years of life, the first at four months old. After being diagnosed with Chiari malformation at seven months old, she underwent her first brain surgery. Her brain was growing into her spinal column, causing cerebrospinal fluid to fill her head. 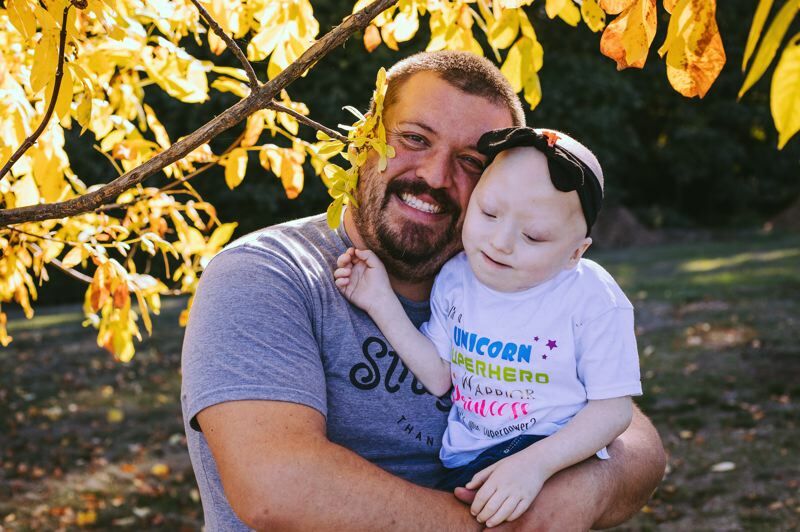 Doctors worked to shrink the lower part of her brain and shave off part of her vertebrae, later going back to put a shunt in to drain the extra fluid. Not long after, doctors noticed numerous sacs of cerebrospinal fluid, or meningocele, surrounding nerves weaving in and out of vertebrae. It was the first time anyone at Doernbecher Children's Hospital had ever seen that many meningoceles on one person before, Queen said. Kailanie's neurosurgeon helped to get a diagnosis of lateral meningocele syndrome, a very rare disorder affecting the nervous system, bones and muscles, and other body systems. Lateral meningoceles are protrusions of the membranes surrounding the spinal cord through gaps in the bones of the spine. The disorder has affected Kailanie's speech and mobility, leaving her with loose joints, low muscle tone and scoliosis. On top of it all, just last year Kailanie was diagnosed with acute lymphoblastic leukemia, the most common childhood cancer, completely unrelated to her LMS, Jon Dykes said. While ALL is relatively common, treatment has been challenging because Kailanie cannot have any of the typical spinal taps or injections, due to LMS. "Treatment has been difficult," Dykes said, "because there is no road map, so they are making it up as they go along." Kailanie's medical situation is a first of its kind, he added. "She has made history twice," Dykes said. "Her neurosurgeon wrote a case study with the neurological society and submitted it. Not only did they accept the case study, they published it in the neurological society last year. And then she made history again when she was the first child with this rare syndrome to (also) come down with cancer." She is now in the maintenance phase, a two-year phase, and will finish her leukemia treatments in September of 2020, he said. Kailanie, a big fan of "Paw Patrol," unicorns, and the colors pink and purple, is extremely brave, Jon Dykes said. "She is a fighter," he said. "She's smart as a whip. Intellectually, she is right where she should be or above; she just has a hard time communicating." Through programs like the Sparrow Clubs, Dykes hopes it helps to get his daughter's story out there for anyone else in a similar position. "Our biggest thing her mom and I want is just to get her story out and (create) more awareness, because we didn't know anybody that had the syndrome until her mom and I started a blog," he said. "Social media has been a big help with finding other people." And it will help Kailanie and her family in their road to recovery. "Her story evolves every day, and we are hoping that once we get out of all these hiccups, that she will live a normal life," Dykes said. "As normal as it can be."